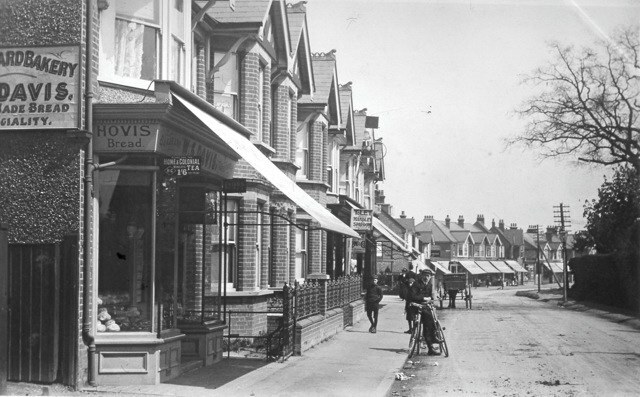 The Mile of Shops which is now Hatfield Road is over a century old. Although the traders have moved several times, and the mix has gradually evolved, the streetscape has remained remarkably as it was in its early days. Shop blinds are out and shop fronts are largely flat panels of plate glass, but there are still as many shops as in the thirties. 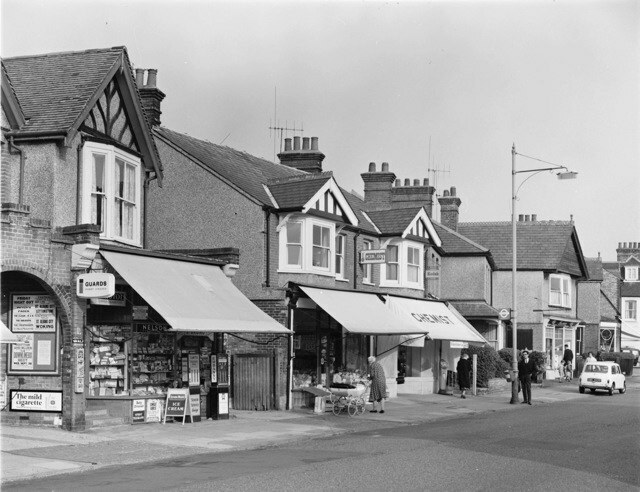 This selection of photographs from different periods illustrates earlier versions of Hatfield Road from The Crown to Bycullah Terrace. Alexandra House, which is 2 Clarence Road and 39 Hatfield Road, is part house, part shop and part bank. 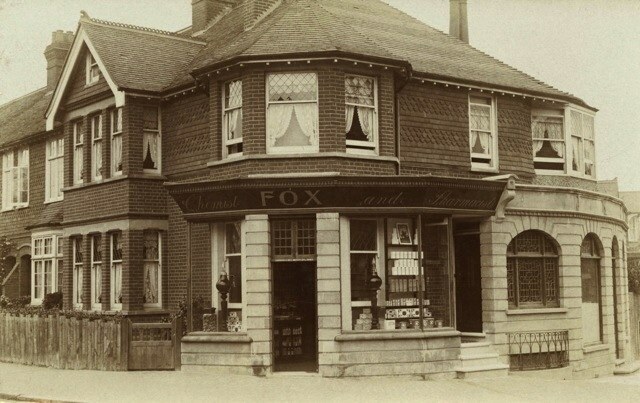 Completed c1912 the shop opened as F W Fox, chemist, before being taken over by Shields & Warren, another chemist. 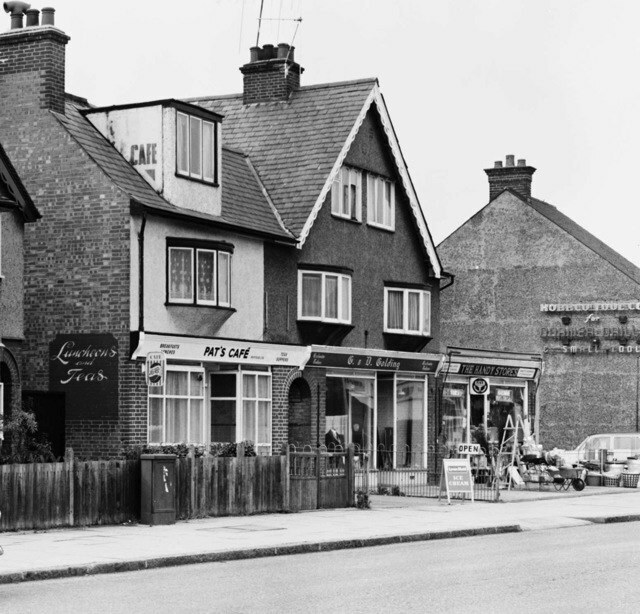 The bank was opened as Barclay's, Fleetville's first and used by many of the small traders along Hatfield Road. It had closed by the last 1960s. Both shop and bank have had a number of tenants since. 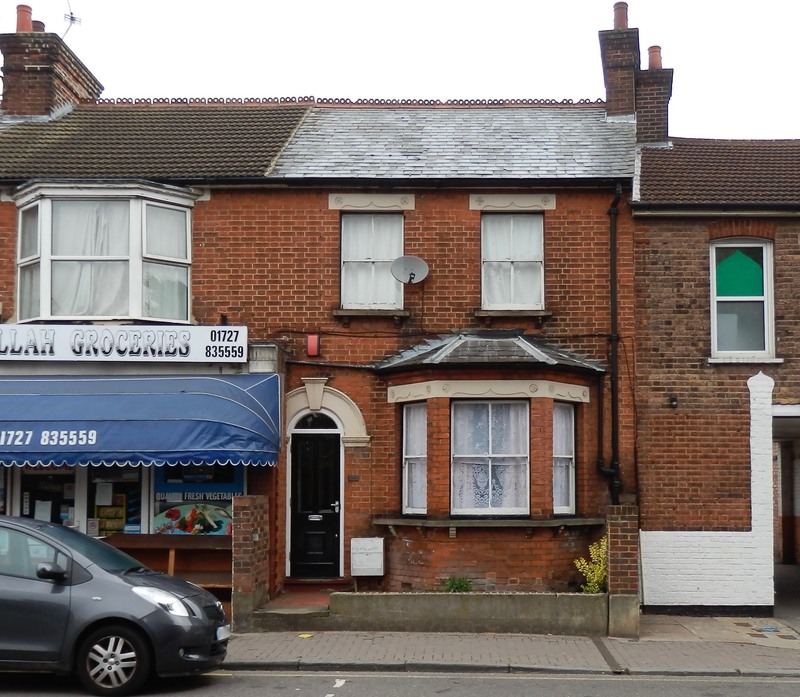 On the corner of Arthur and Hatfield roads was a greengrocer until Harry Woolford's bookmaker's business opened in 1922. Mr H Bowman, chemist, took over c1956 before relocating to nearby Sutton Road. Today the shop is Verulam Angling. 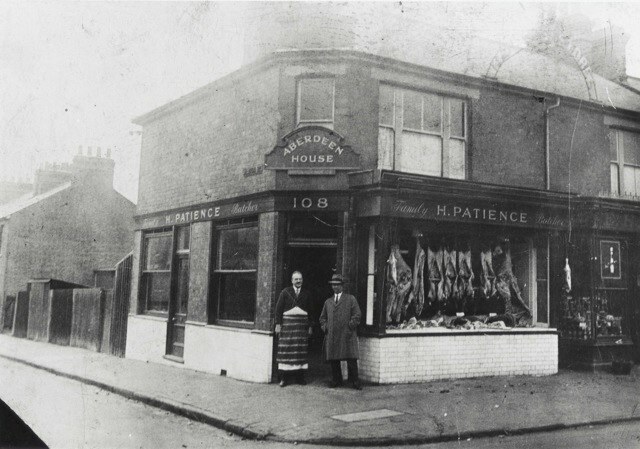 Aberdeen House, on the corner of Albion and Hatfield roads opened c1899 as a butchery owned by Steabben & Son. The firm had a slaughterhouse at the lower end of Cavendish Road. After the First World War the premises were taken over by Harry Patience, whose family had been tenants of Popefield Farm, Smallford. 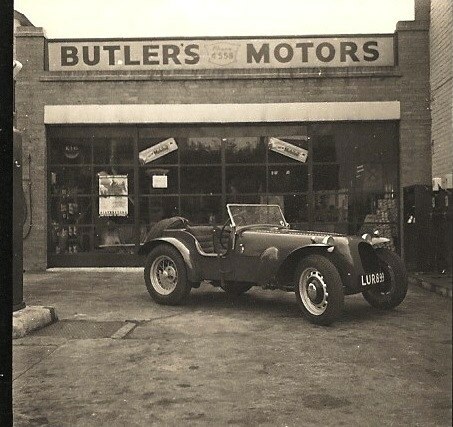 On the site of a former harness marker's workshop, Robb Butler opened a car repair workshop; petrol was also dispensed at the frontage. 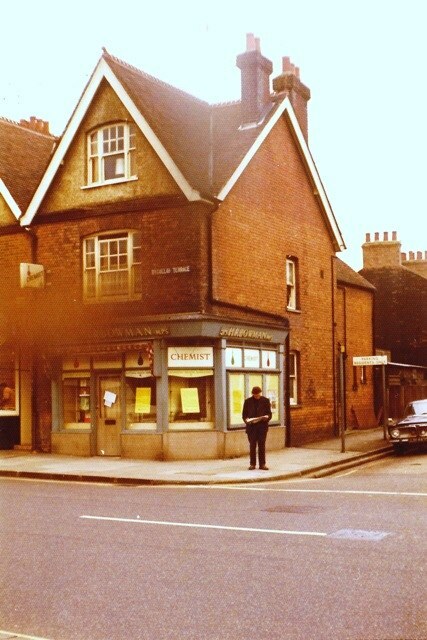 Swan Car Hire was also based here, on the corner of Cavendish and Hatfield roads. The building has now been replaced by a small group of town houses. 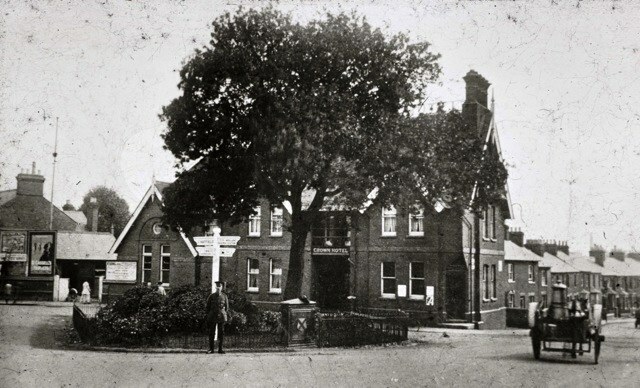 The original building of St Albans Rural Conservative Club (1912) before conversion to a military hat manufactory from Lambeth after WW2. 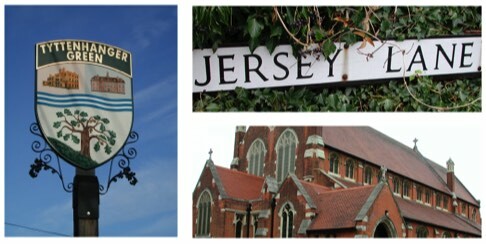 Its name, Calverstone, remained on the wall for most of the post-war period until conversion to Papa John's Pizza. Many of the shops began their lives as cottages, opening onto a recently de-mained turnpike road. They had tiny front gardens, evidence for which can still be seen by the different surface treatment behind the footpath. Once a potential trading opportunity had been recognised, most eventually converted into shops. There are still, however, a few homes which have remained "unshopped" as in the photo above. This spent its first decade as a private house before being converted into a shop. 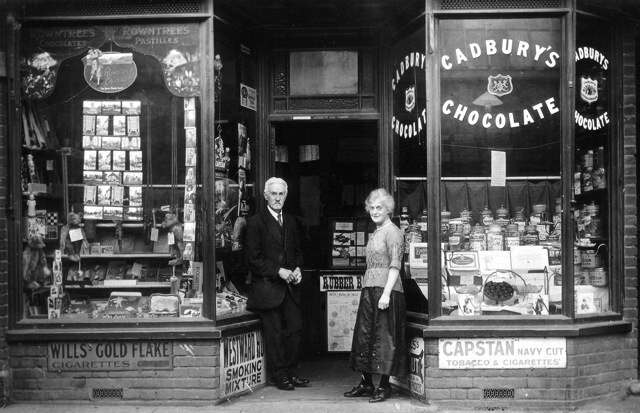 First of all it was a hairdresser, before a long careers as a confectioner; first, O'Dietschi, and then W S Fowler. Today it is an art gallery. 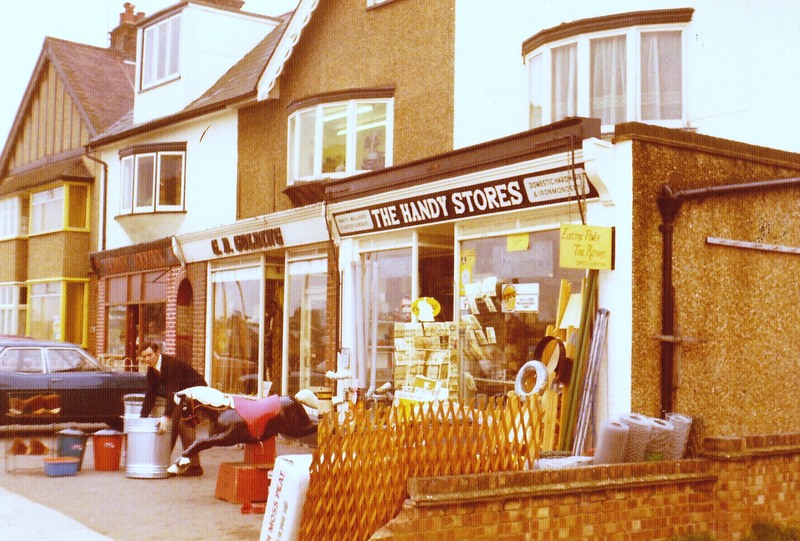 The Many Stores was a well-known ironmongery and general "useful" shop. To its left was, and still is G D Golding, outfitter, and the shop advertising luncheons and teas began life in the 1920s as the Rendezvous Restaurant, then Jack's Cafe, Pat's Cafe and Albany Aquatics. Today from L to R: Claims Solutions, G D Golding and Prestige Performance Rover Servicing. 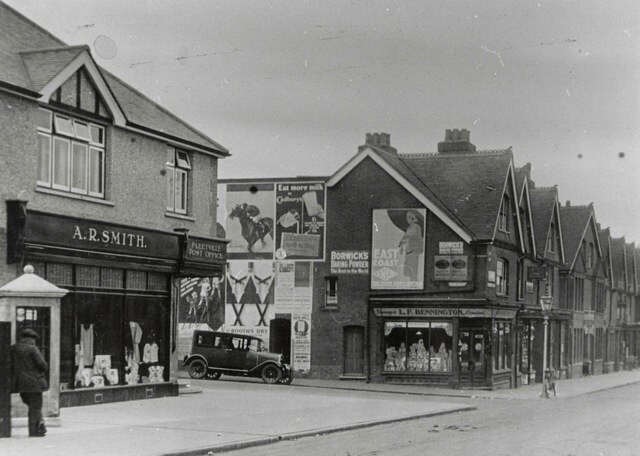 Mr A Rankin Smith began trading his post office and stationery shop in Bycullah Terrace (now Simmons bakers) before moving to this corner in 1930, in a house built for him by the local firm of Goodwin & Hart. The first, and short-lived occupier of this corner plot was the Fleetville Cinema. The nearest shop had always been a bakery – J F Cornwell, W Not, Frank Maison, R Schnabel, E Sillitoe, and then Premier Bakers. Today it is a pizza shop. 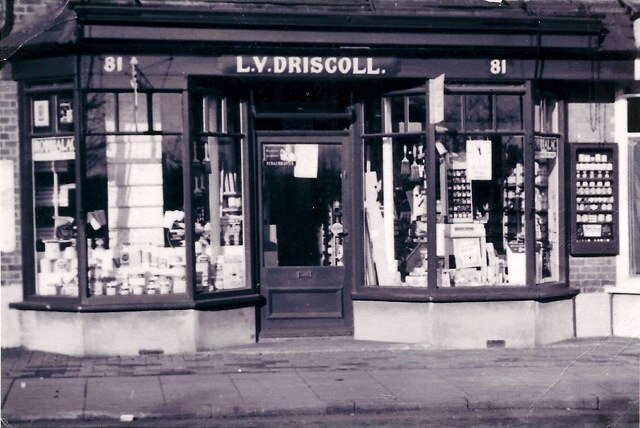 Leslie Driscoll dispense varnishes, paints and timber from this shop at 81 Hatfield Road. Today it is the Asian Food Store. 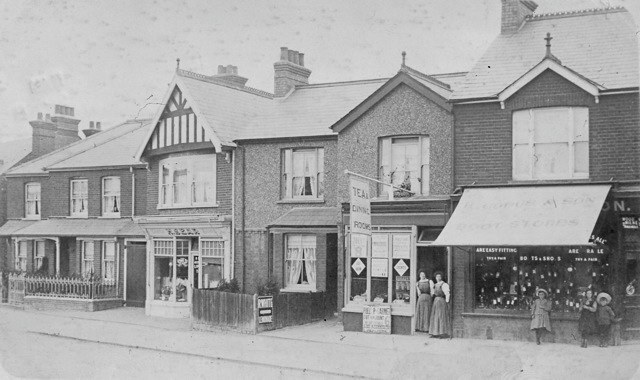 This block of four shops was added to the scene c1912 and two of them quickly became shops for St Albans Co-operative Society: a grocery and a butchery. The third was known by many young people as Bishop's Stores before being taken over by the Co-op as a greengrocery and then a dry cleaners. The fourth shop was a pawnbroker run by Mr Asker. The view from St Paul's Church towards Laurel Road. Nearest the camera was Sear & Carter, nurserymen. It was demolished in 1960 and the City Council developed the site as St Paul's Place. The Crown Hotel, little altered externally except for the former coachman's accommodation, far left. 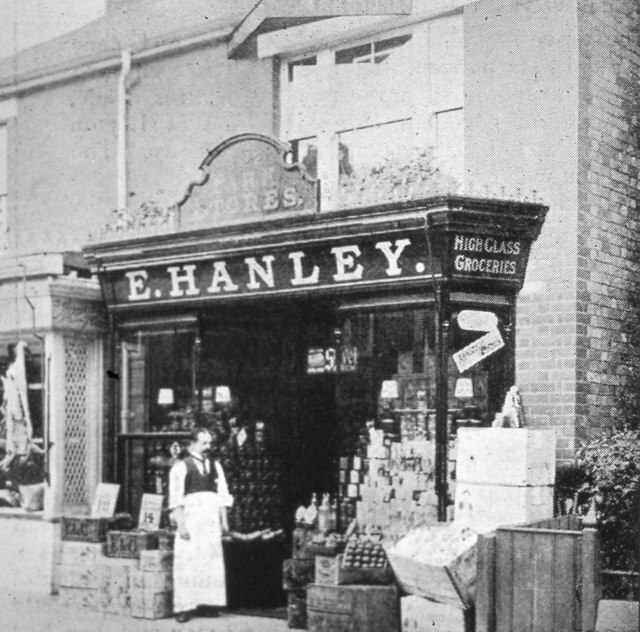 It arrived on the scene c1900 and was already surrounded by local shops. 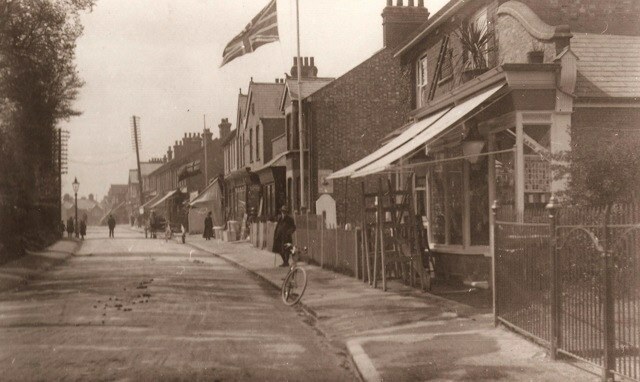 The shop on the right is on the corner of Harlesden Road and Hatfield Road. In this photo it is a boot baker's and continued to be so until the 1960s when it became T A Horn, heating engineer. Today it is a hair salon. The unit to its left was a dining rooms and then an electrician. Left again was originally a dairy shop and later converted to a laundrette. E Hanley had occupied this unit on the south side near Albion Road. In the 1960s it became Carla ladies' hairdresser. Today it is a pet grooming studio. 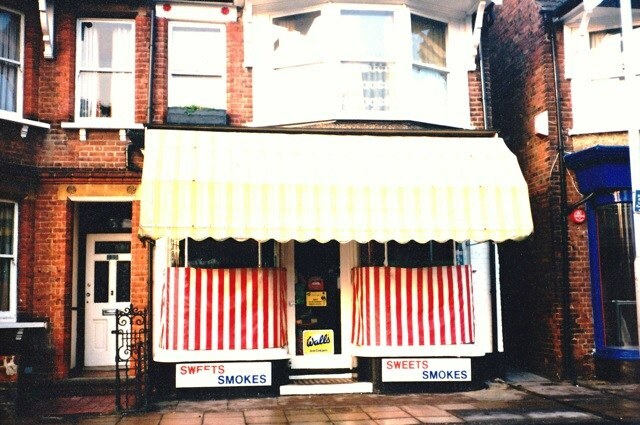 This Bycullah Terrace sweet shop beloved of generations of children is run in this photo by Mrs A Blakeley. At the end of WW2 it was taken over by William Grace, who sported a short white shop coat and a short moustache. It transformed into Sketchley cleaners in the 1960s, followed by a radio & television shop. Today it is Alban Locksmiths. 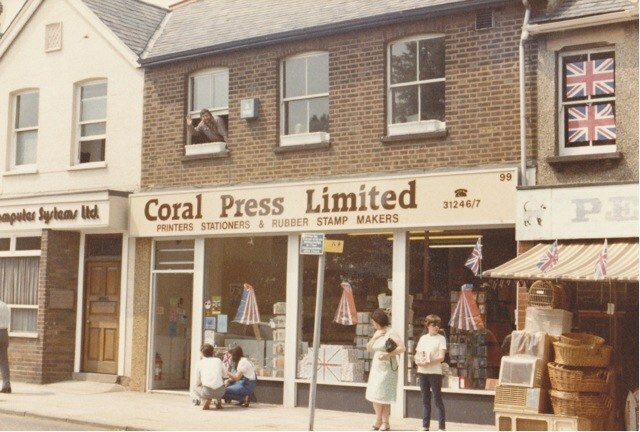 This 1970s picture of Coral Press is the former premises of Ben Pelly, china, glassware and hardware. 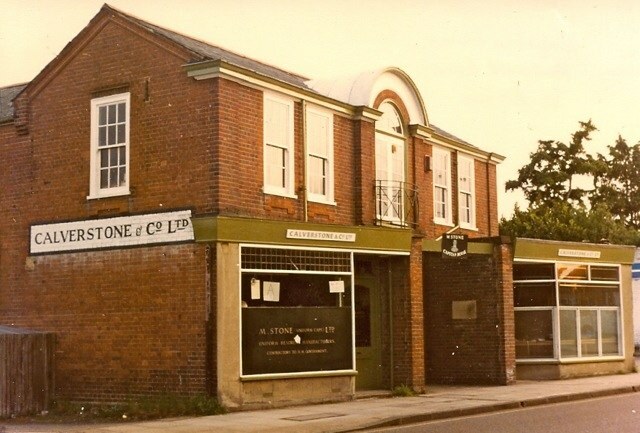 Ben Pelly also had the premises to the left, which became Securicor Ltd. To the right was one of Percy Hall's Fleetville Saloons before being acquired by Mr Haines, gents outfitter. In this photo it is the Pet Shop. The Pet Shop is now Kashmir Deaf Children's Trust Charity Shop, while the other two units are part of Tesco Express. Henry Sear had a dairy shop. 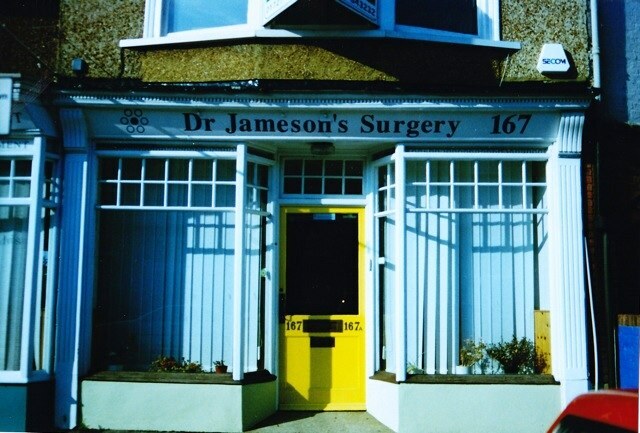 It then became one of two shops run by P H Stone – the other was number 157. It then became a laundrette and is now Thai Takeaway. This was one of three adjacent premises that did NOT begin as houses. The corner shop, 149, began as S J Gibbs, furnishers. The Grimaldi family, which had a filling station and car franchise opposite, also used the shop as a very small showroom. 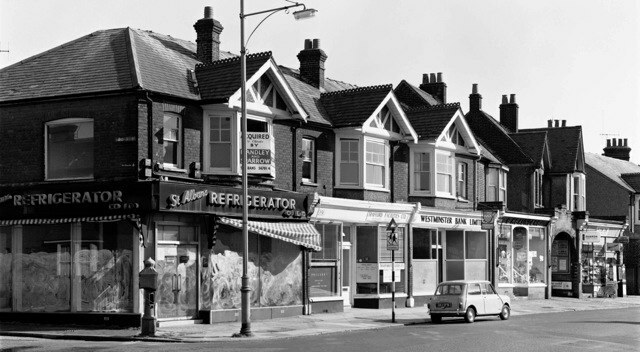 In this 1960s photo St Albans Refrigeration has just moved out. 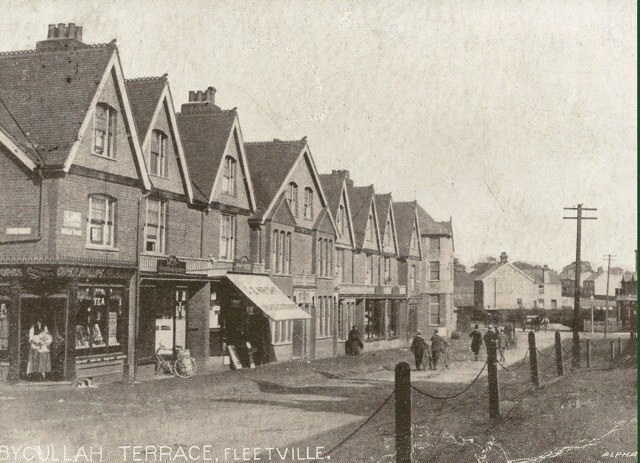 The shop to its right was, for many years, a cycle shop run by Mr F W Hickie. Just beyond the archway was P H Stone's other shop, a newsagent. Today, the shops are The Oasis restaurant; A1 Barka Minimarket; the Rennie Grove shop and two units for SK Carpets. Formerly P H Stone, newsagent and W & D North, greengrocer & fishmonger. Now occupied by SK Carpets and a tattoo studio. This parade next to the recreation ground was built c1930. 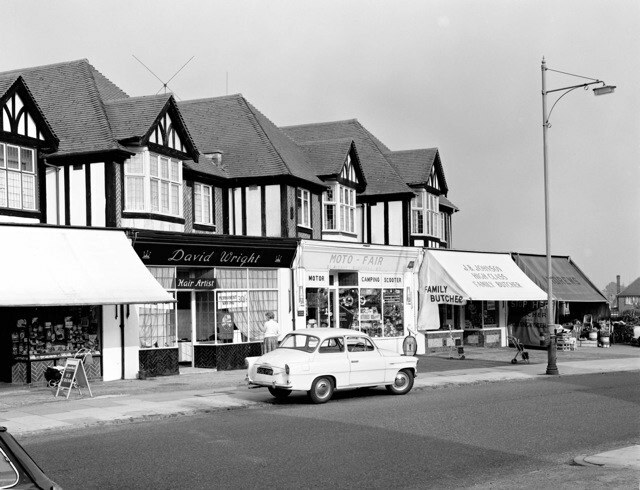 The five shops in 1964, when this photo was taken, were Mrs D Miles, confectioner; Mrs L Wright, ladies hairdresser; St Albans Motor Accessories; J B Johnson, butcher; and Andrews, fruiterer. Today, only Andrew's remains from the group above. There is scarcely anything, be it food, clothing or furniture, which cannot be advantageously purchased here.